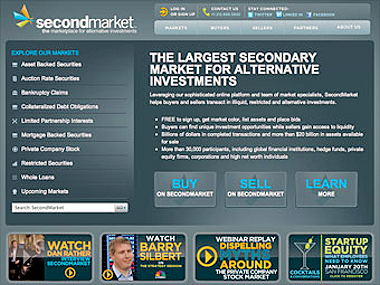 SecondMarket, the marketplace for private company shares that built much of its business on pre-IPO interest in Facebook equity, laid off 10 percent of its staff today. Prior to the layoffs, the New York City-based company employed approximately 150 people. Word of the layoffs was first reported by CNET. Facebook is expected to go public in May. A source familiar with SecondMarket said its final auction for private shares of Facebook will end on Tuesday. On the bright side, SecondMarket likely stands to benefit from the higher private company shareholder limits set forth in the JOBS Act, which Congress approved this week and President Barack Obama is expected to sign into law next week. The new limit would be 2,000 shareholders before a company falls under SEC reporting obligations, up from the infamous limit of 500 today.